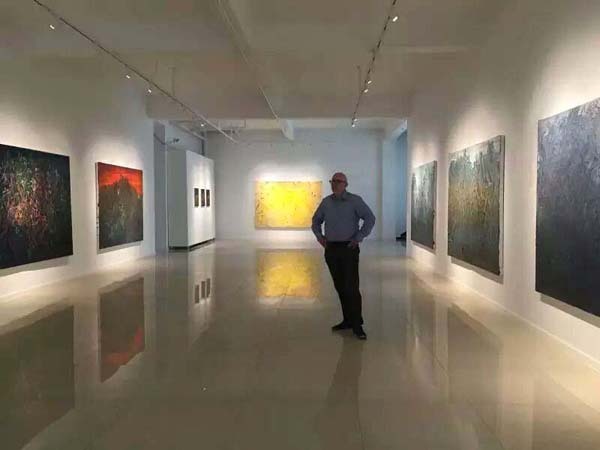 On the afternoon of June 16th 2016, Arnold Obermayr, Counsellor of Embassy of Republic of Austria,came to Tang Studio(Mr.Tang Huawei’s Studio),which is located in China Songzhuang International Art Zone.Mr.Arnold got a surprise and gave a great praise at nearly 1,000 kilometers exhibition space and the artist’s unique painting language.Under a friendly atmosphere,many issues are intrigued,including the history ,culture, even art field between China and Austria.Mr.Tang mentioned that Austrian Artists Gustav Klimt and Schiller had a great influence on him,which shortened the distance between them. Since the 21st century,there has been emerging an unprecedented trend between Austria and China.China has become the most important cooperation partner outside Europe and also the trade partner in Asia for Austria.In political area,both are active in bilateral interviews.The speeding development on tourism further reinforced a friendly relationship between two countries.Therefore,it’s no doubt that the communications and dialogues between them have a far-reaching meaning. 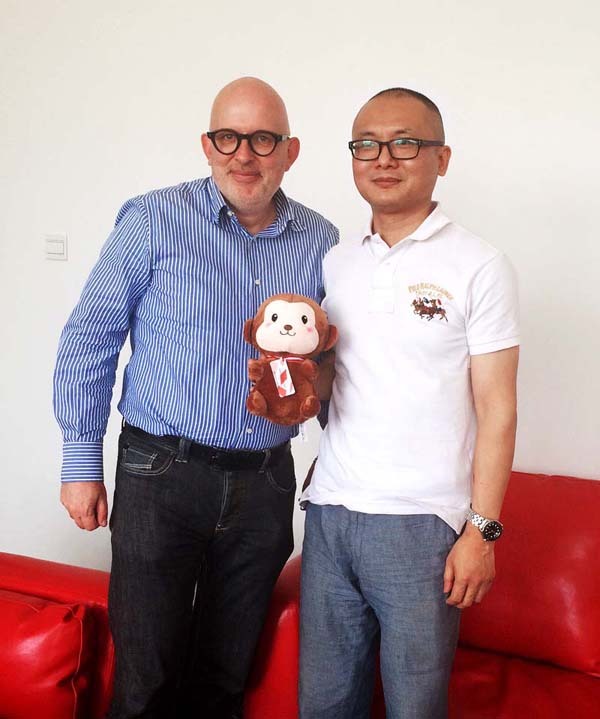 Austrian Counselor Mr.Arnold made a great impression on the exhibition space of Tang Studio. The counselor are discussing about painting language with the artist in the workplace. 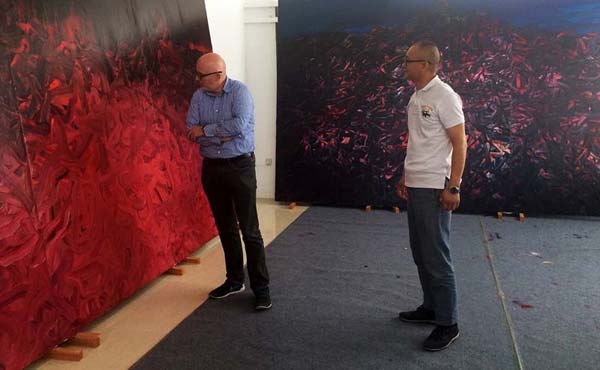 During this pleasant visit,both sides discussed the issues regarding to worldwide contemporary art and finally reached an agreement.They are unanimous that it’s necessary for Austrian and Chinese artists to increase their understandings each other.Meanwhile the cultural differences have created a profound opportunity for a dialogue between two countries.At last, Austrian Embassy Counsellor Mr.Arnold invited Mr.Tang Huawei to participate in this September art activity hold by Austrian Embassy and the artist is willing to participate in and offer support.Tang Studio has a professional team and will provide the exhibition space and relevant planning schemes.Mr.Tang expected that he and his group could take part in more and more cultural activities hosted by Austrian Embassy and would make a deeper dialogue and exchange with Austrian artists. The counselor and the artist took pictures at the gate of Tang Studio after a pleasant visit.